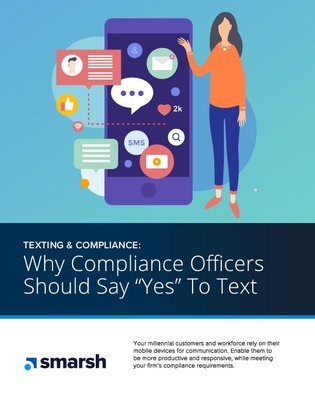 Despite the business benefits of texting, many financial services firms rank text messages as a top electronic communication compliance concern. So what can compliance teams do to develop a compliant text message communication strategy? Explore this white paper to learn additional best practices for text messaging compliance.